SONOSIM SUMMARY: This case report examines three emergency department patients diagnosed with asteroid hyalosis, a benign degenerative condition that can easily be mistaken as a vitreous hemorrhage on a point-of-care ultrasound (POCUS) examination. Vitreous hemorrhage may be an indicator of a retinal tear or detachment, ocular conditions that require emergent care. Patients reported at least one of the following symptoms: bilateral eye discomfort, bilateral blurry vision, floaters, headache, or visual hallucinations. The study asserts that asteroid hyalosis has a mobile, sparkling sonographic appearance, whereas vitreous hemorrhage has a dull, layered appearance on ultrasound. 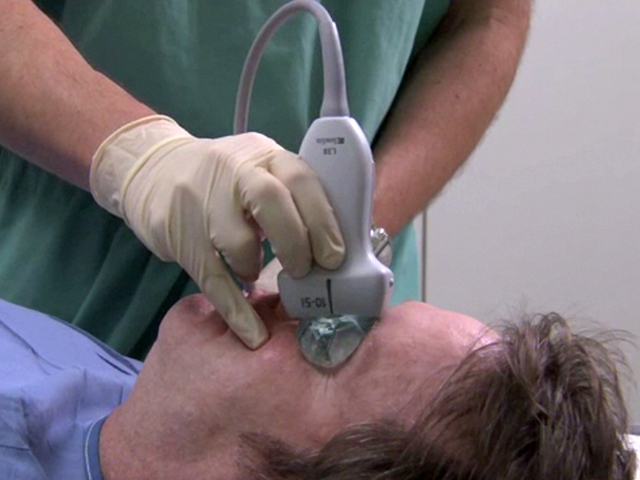 Ultimately, recognizing the sonographic differences between these two conditions allows emergency physicians to more accurately recommend emergent versus non-emergent care in the ensuing ophthalmologic consultation. Lema PC, Mantuani D, Nagdev A, et al. Asteroid hyalosis masquerading as vitreous hemorrhage on point-of-care sonography. J Ultrasound Med. 2018 Jan;37(1):281-284. Point‐of‐care ocular sonography is frequently used in the emergency department to evaluate patients with vision disorders. We describe a case series of 3 patients who ultimately had a diagnosis of asteroid hyalosis, a lesser‐known condition that on point‐of‐care sonography may be mistaken for vitreous hemorrhage. Asteroid hyalosis is considered a benign degenerative condition. In contrast, vitreous hemorrhage may be an ocular emergency that warrants an urgent ophthalmologic consultation if there is an underlying retinal tear or detachment. Although similar in appearance on sonography, recognition of the subtle pathognomonic sonographic features along with their clinical presentations can differentiate these diseases, with vastly different management strategies and dispositions.